As every Good, Mediocre, and Barely-making-it-through-the-day Mom knows, we should ‘limit screen time’ and keep our preschoolers engaged with learning and active play all day long. However, the reality is that most of us plop our kids in front of the TV now and then in hopes of getting something done (like opening the stove, finishing our cold cup of coffee in peace, or going Number 2). Summary of the Show: The 2 main characters, the Kratt brothers, are scientists who love to explore nature and learn about new animals. With the help of their team (which includes two very smart women of color and one very dumb white guy), they obtain morphing ‘Creature Power Suits’ that give them the ‘powers’ of a specific animal. Watchability for Parents: I really like this show. They use footage of real animals at the beginning and end of each episode, and I always feel like I’ve learning something new every time I watch it! The villains are cliche and slightly annoying, but they don’t usually get in the way of the storyline. And who can say they’ve never dreamed of having animal powers before?? Summary of the Show: Come on, unless you’ve been living under a rock, you know what Sesame Street is about. Depending on the episode, you’ll learn about spiders or camouflage or triangles. There is always a “Number of the Day” introduced by The Count, and characters are often using shape or pattern recognition to solve a problem. Watchability for parents: Sometimes the stories are funny (Cookie Monster is always doing some HBO series parody), and every now and then, you may get to see your celebrity crush hanging with Elmo. Enough said. Summary of the Show: Nature Cat and his backyard pals are all suburban pets with a double life (after catching many clues, I’m convinced they live outside of Chicago, my hometown). When their owners are away, they go on adventures through the outdoors, hanging out with all kinds of wild animals and caring for the environment. Watchability for parents: I’ll admit it, I get riveted when this show is on! I think it’s really clever, and I love the push for environmental stewardship. At the end of every episode there is a ‘commercial’ for a natural item as a toy (“Pile of dead leaves! Every kids should have one!”), which is incredibly amusing to me. Summary of Show: Three tiny, odd characters (Gio, Milli, and Bot…a.k.a. Team Umizoomi) help some non-animated kid solve a problem in each episode. They use all kinds of early math skills to get them past obstacles. Watchability for parents: My kids love it; I am not totally annoyed by it. Summary of Show: Diego is Dora the Explorer’s cousin. He and his friends go on missions through the jungle (much like his cousin before him) to help animals in trouble. Watchability for parents: My 2-year-old daughter really likes Dora and Diego. The best part about watching this show is watching her giggle, point, clap and try to answer questions. Summary of Show: A family of Pteranodons (with an adopted T-Rex son) travel around the world and through time on the Dinosaur Train, led by a Troodon called ‘The Conductor.’ They meet and befriend all kinds of dinosaurs, pterosaurs and sea creatures. In this ‘kumbaya’ prehistoric world, none of the dinosaurs eat each other…which is nice, but slightly inaccurate. Watchability for parents: If you are a dinosaur geek at heart, it’s mildly entertaining at first. But perhaps the real draw of the dinosaur world is the ferocity of a snarling Tyrannosaur, so a dinosaur utopia gets kind of boring after a while. Summary of Show: Doc McStuffins is a young girl with a magic stethoscope that brings toys to life. She and her stuffed animal medical team spend their days fixing broken and ailing toys of all types. Summary of Show: A motley group of octonauts (Are they animals, cats, vegetables…? I don’t really know, but they strangely lack facial features) cruise around the ocean going on adventures and helping sea creatures in need. At the end of each show, they do a “Creature Report” to summarize what they have learned about the animal of the day. Watchability for parents: I don’t know what these Octonaut things are or why one of them is a turnip. This is all I can think about every time I watch this show. But my kids like it, and the theme song is forgettable (which actually counts for a lot… see Doc McStuffins). Summary of Show: Blaze is a talking monster truck who, along with his driver AJ and other monster truck friends, is always in some kind of race. He has to transform into different machines to conquer the obstacles in his way. The ‘bad guy’ (a blue monster truck named Crusher) is not so much bad as misguided, and slightly desperate. Crusher somehow has the ability to whip up some unbelievable apparatus to slow Blaze down during every show (for example, he made a machine that alternatively spits out chocolate and cheese balls…which you would think would make him a millionaire who never had to race again). So he clearly isn’t living up to his full potential. Watchability for parents: I have a 4-year-old son, so I have seen every episode of Blaze 900 times. There are a billion things about this show that drive me crazy. Yet my son relates a lot of real life stuff he sees back to things he learned on Blaze. So I tolerate it. Like people who live next to a loud, droning highway, I have absorbed the background sound of Blaze and the Monster Machines as part of my very existence. Summary of Show: Jet Propulsion, the main character, has just moved with his family to Earth from a far-off planet in a distant solar system. But his house can still turn into a spaceship, so he and his new Earth friends spend their free time perusing outer space and learning about the planets. Watchability for parents: I love everything Space, but I must admit that I find this Jet kid a bit irritating. He is perpetually happy…but not in a cute, Mickey Mouse way. Rather in a bounce-around-the-room, waving jazz-hands, singing show tunes, kind of way. I want to flick him. But that being said, there aren’t that many educational space shows for preschool-age kids, so we watch it and talk about planets… but just once a week. Previous Post Everything You Want to Know About SLIME! 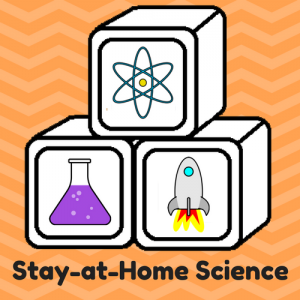 Next Post PUMPKINS: 5 Easy Science Activities! Yeah! Mom points for watching all these shows. Well Go Diego Go is not quite up there but my kids watch the rest. I myself enjoy Wild Kratts!!! Sesame Street for the win! Such a classic and a lifelong favorite. The only other one I know on the list is Doc McStuffins – I need to check out the others! Well I love sesame street. I think it is super educational. In fact my frst husband who’s parents did not speak english said that is how he learnt english as a child and his english is perfect! It does have some great science things too. Reblogged this on Nanayhood Chronicles. I love Sesame Street. I am so happy to see that it is on the top of someone’s list.